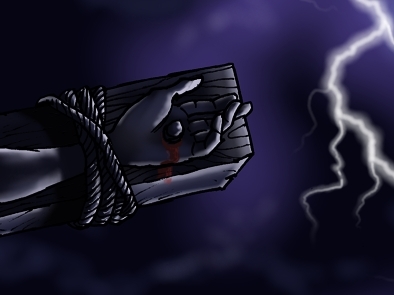 I’ve just completed an illustration that is quite different from most of my cartoons. You can see it below, & with some close-up details, which you can’t really see on the usual gallery view page. This has been an amazing “cartoon” to draw & colour. Even taking the photo’s of myself in the crucifixion pose moved me! Then the drawing & especially the colouring, has really “got” to me, in a good way. 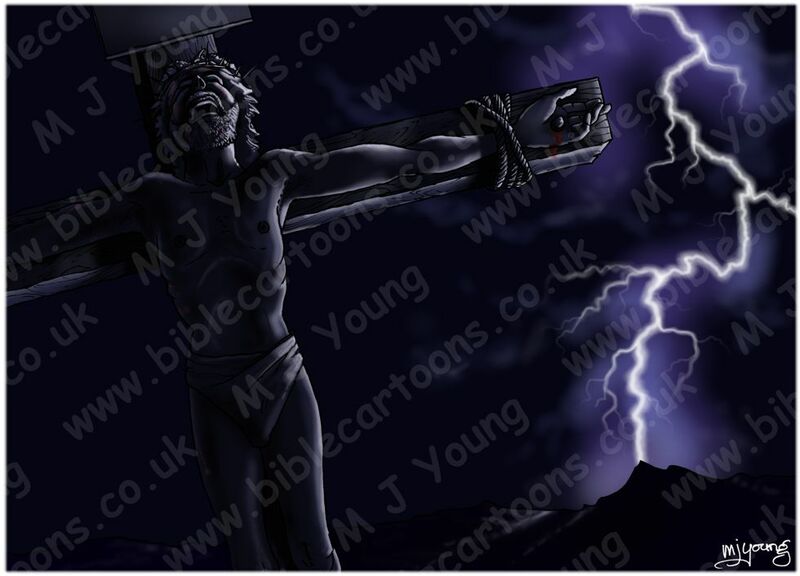 I’ve found that depicting Jesus in any cartoon is always quite moving. 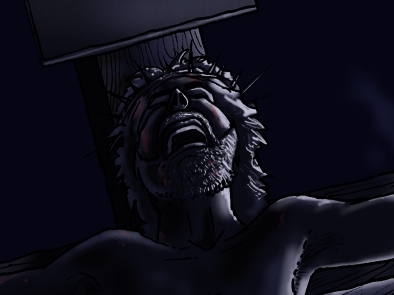 I kind of feel honoured to be able to draw him… to have the time & opportunity, through this Bible Cartoons Project, to draw Jesus is really amazing. That I can spend time drawing illustrations like this, is a real gift. I’m honoured. Close-up of Jesus’ anguished face. 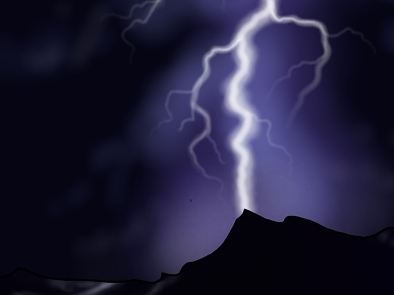 Close-up of the lightning striking the ground. Don’t know if you’ve noticed, but we have changed our header on every page of this website. The BC website has grown, developed & changed over the past year, particularly in it’s breadth & scope of operation. So it seemed fitting to include the Bible Cartoons Project (BCP) mission statement on the header. I’ve also removed the “Art by Mart” & easel logo, as the BCP is an entity in its own right now, & doesn’t really come under my graphic design & art label any more.